I said it before I’ll say it again. Healthcare.gov can NOT be fixed. McAfee nailed it when he told Fox News that the ‘back-end code” is a nightmare and the site a hacker’s dream. [Clip: “The architecture of the system is…is outrageous. I mean it’s great if you’re a small shoe manufacturer in Pocatello Idaho and you have 200 customers but to try to support the volume of business that the ObamaCare system has to support, it can’t do it. And when three IT experts were asked by Congress if the site was secure they nailed it too. And the “NOs” have it again. Added to the outrage is the site’s window into our private lives giving the government (which NOBODY trusts) easy access to our personal info which they can and will surely use against us. And in spite of the White House ‘fix,’ thousands who thought they enrolled will discover come January 1 that their applications were NEVER received due to the flawed code. [Clip: “Even for those who have managed to navigate through the website and who enroll or at least think they have enrolled, are finding that the information has not gotten to the insurers. “We talked to a gentleman in Georgia yesterday who finally after two months of trying, got enrolled on the website, but when he called the insurance company to confirm and get his card, was told they had absolutely no record that he had the policy. It’s a HUGE problem…on TOP of the mess millions of Americans find themselves in whose plans were cancelled due to the liar’s broken promises. Now Obama has added a “comma” to his “period”…heaping yet another fabrication to his mountain of lies. How did this nobody become President anyway? Billionaire Chicago Jews, Bettylu Saltzman, Penny Pritzker, and Lester Crown, hired Jewish ad-man David Axelrod back in the 90s to install the “first black president” that they could easily control. But American’s aren’t buying it. For now with a broken website, broken promises, broken health coverage, it’s time to repeal ObamaCare and put the imposter out on the streets. Newsweek appears to be calling for it too with its “Hit The Road Barack” cover story this week. And Forbes Magazine indicts Obama for changing ObamaCare five times since the Constitution FORBIDS him from changing an existing law apart from a Congressional Repeal. And now lawsuits filed by Hobby Lobby, Eden Foods, and Notre Dame, are challenging ObamaCare’s anti-Christian ‘birth control’ mandate that forces companies to provide “morning after pills”…encouraging the sin of fornication. But does Obama care for the Constitution or the Law of God? He backs killing babies in the womb—abortion—and the sin of homosexuality. With a broken system backed by an imposter that grants Big Brother more control over our lives and attacks the laws of God, it’s time to throw the bum out and ObamaCare with him! Christ WILL punish this evil scoundrel Obama. It’s only a matter of time before this enemy of God will experience Christ’s retribution. Providence is already bringing this Christ-hater down. More WILL come. Less and less people are donating to me. If this keeps up then by summer when I have to pay off the $25,000 Credit Card loans before the interest kicks in then this site will be history. A few days ago I sent out an Appeal to 2,500 regular readers and ONLY 8 responded. If you want to see this Site survive PLEASE HELP ME financially. A SPECIAL THANKS to Thomasina for the $25 cash donation. This is a STATE-OF-THE-ART Video Platform that took 3 months to build. ALL Jew-Ruled EU Countries Can NOW View ALL My Vids Without JEW-CENSORSHIP! No more LOOKING OVER MY SHOULDER to see if a Free-Speech-Hating JEW is going to censor me! The Jew-owned Vimeo venue BANNED my ENTIRE Channel at the beginning of August 2013. TWO WEEKS LATER, YouTube BANNED my specific Video, “The Real IRS Scandal,” and issued a “3 Strike Warning” Against Me. Now I HAVE THE LAST LAUGH! Ha, ha, ha. After impeachment, you need the Senate to convict, and that will never happen because Obama and the senate are all Democrats. Imagine how much dirt the NSA has on the Senate. Just remember what happened to Chief Justice Roberts. I wonder how many of us soldiers it would actually take to take over the White House and arrest the whole 535? Then demand impeachment and have a new election — in other words a bloodless coup, but change a few things while they are at it? 5000? 10,000? Wouldn’t be so bad would it? I just don’t think a next election is going to ever change anything. Same old, same old, but OB is getting pretty far out on the limb. But it’s no good having a military coup if it kept the same MIC in power either. If Republicans attain a majority in the Senate after next year’s midterm elections, regardless of any impeachment from the House of Representatives, no one is going to kick B’rack out of 1600 Pennsylvania Avenue when he is so close to finishing up his second term. However, B’rack and ‘Chele will not be leaving the District of Criminals thanks to keeping their younger daughter enrolled in school there until she graduates. Just as Bill Clinton has failed to fade away, B’rack will continue to stick around like a deep, subcutaneous fungal infection. There’s just not enough disinfectant to clean up this contagion. As with other radioactive/toxic material in our 3rd dimension, the entity known as BHO must be restrained, removed and reburied. If not, hell on earth will manifest thru him. Will guns avert the coming cull? Or facilitate it? Weapons of all kinds have been used to maintain disorder on the plantation and dispatch competitors. How can domesticated/enslaved critters regain their freedom? In this life? Go feral! do not fear! Walk tall. Know that this realm is being transformed by us and will no longer be a prison planet. How does a web site cost 680 million dollars?! (The figure I heard.) And, another 500 million to repair that web sites problems! Is anyone bilking the taxpayer? Will any bureaucrats spend 10 million investigating the high cost? And where was the Israeli flag that should have been behind Obama when he was on the podium? I’ve come to expect one. Brilliant; and I do notice your editing and intonation and timing and just everything gets better every time. I’d say you are a “pro” but those Zionist-owned talking heads on TV (which I canceled) can’t touch this…why? Because truth resonates, it has a vibration which connects and communicates, truth has a life all its own. It’s exhilarating! When Sayanim Ed Schultz on MSNBC says that God loves Obamacare, his enjoyment is in evil absurdity, nobody believes him and he will get his due. Look at his ugly mug too, it shows! “Generally, it’s easier to get people to believe a lie than it is to get them to believe the truth. People are more willing to fight for a bad cause than a good one. I just watched your video about the real IRS scandal and it was a true eye-opener (Henry Makow posted the link to your new video site). I tried to leave a comment on your new video site about your IRS video (which is excellent by-the-way), but couldn’t. This is the message I wanted to post there: Would you consider posting your video to BeforeItsNews? It would get a lot of exposure there. In the above article, Michael Potter, the Pres. of Eden Foods supports reprodutive choice - sort of. The tone of his letter of “clarification” on his lawsuit is mighty weaselly, no matter what your position on abortion or the abortion pill is. Trouble is (and it’s very troubling) very few (fewer than ever) are helping me to fund my work. My new Video Channel will SOON have a Comments Section. Setting it up now! No doubt about it whatsoever that Obama, the Jewish puppet, has been a catastrophe. However, left wing Whites, most Blacks, communists, hippies, homosexuals, and Jewry may continue to play that ole race card, arguing that you cannot criticize or oppose Obummer because he is a Black man. Hence, in opposing or criticizing (this bum), you get labeled a mean and nasty racist by the majority (i.e., the Sheeple), and if you are a person in the public eye, you will be stamped “racist” by the lamestream press. NWO Jews pulled off a very shifty one in using their money and control to have this guy put into office. A White man would at least to some extent be held to the fire, but Obama for the most part has been able to do whatever he (i.e., his Jewish controllers) want. Off the current topic here RJN readers, but highly relevant because we will be hearing all about the glory of the Marxist Bolshevik commie Nelson Mandela for a very long time. What do you want to bet that a massive monument of Mandela will be in the works sometime before too long? The Judeo Bolshevik ties to Black ruled South Africa guarantee it in my view. Check out Sally JEWell and grab a barf bucket before you do. Those Baphomet stars appear to be flying out of her hands via abra cadabra Talmudic voodoo. SAN FRANCISCO — Interior Secretary Sally Jewell says she will recommend that President Obama act alone if necessary to create new national monuments and sidestep a gridlocked Congress that has failed to address dozens of public lands bills. Remember once Obamacare would be repealed and Obama impeached, we still would have to get rid of the satanic freemasons, Jews, and other pagans who would subvert Christ. Amerika must be under a monarchy centered around Jesus Christ and Orthodoxy (nothing else). Then we can fix healthcare with sensible solutions, but reorganizing a new Christian America should be the first priority. Amerika needs to be just like the Byzantine and Russian empires in morality, politics, religion (Russia had religious minorities). But, yes, above all impeach and remove the government for its crimes against God. OK, I’m a bit confused, maybe someone here can help me out. First, let me say I am not an Obama supporter, nor am I a Democrat or Republican, nor do I have any political agenda, just in an honest search for truth. 1. He was forced into a position of threatening to attack Syria, but privately made a deal with Putin to prevent the war. 2. He, despite infuriating Nuttyyahoo, is trying to make a peace deal with Iran. 3. The Israeli’s seem to be very disturbed by Obama and his siding with Iran, Russia axis versus the Israeli/Saudi axis. 4. I don’t agree with Obamacare and how it is working, but I do agree that if we can provide the biggest killing apparatus the world has ever known, isn’t it the Christian thing to figure out a way to have health care for all? 5. So we impeach Obama, who replaces him? VERY likely a neo-con warmonger and you can say hello to WW3. Is it not possible that Obama is a double-agent of sorts, saying all the things to his handlers they want to hear, doing some of the things they want to do, while having a “big picture” agenda to take down the cabal? The media has turned on him, a sure sign he isn’t making the “handlers” happy. You do realize nobody can take down the “cabal” with a frontal attack, why can’t we entertain the idea that he is working behind the scenes with Putin to actually change the world? Lose a few battles but win the war so to speak. Trust me, if he was truly doing the bidding of the “handlers” we would have been in a war in Syria by now, the media would be lapdog, not attacking him from every angle. I realize this may be completely wrong, and he is part of an ever more devious scheme playing good cop/bad cop etc., but it must be at least pondered, considering he has helped prevent a war on Syria and Iran in the last 2 years alone. There is no doubt McCain or Romney would have gotten those wars underway! Lastly, Obama has suggested and likely still has the idea in his back pocket of printing up a trillion dollar Platinum coin. Do you realize how incredible this idea is? Pay the Fed banksters with a small lump of Platinum? He has the power to print up 6 of them, pay of the banksters and close them down! How is this not a sign that he is not in bed with them? Hang On A Sec said the following, and I totally agree. “So we impeach Obama, who replaces him? VERY likely a neo-con warmonger and you can say hello to WW3. This website spells it all out. Read it carefully. They are certainly our misfortune. An outstanding Russian movie with English subtitles. Former KGB Agent Yuri Bezmenov did not make this up back in the 1980’s. My wife is out of work with no insurance now and we both are in our late 50’s. Thanks to a government who sees fit to ruin even this for us. I do wish the government could disappear so this country could take off again. It is amazing how many seem to believe that the media is informing you and not leading you down the path by the nose. Media is illusion and Obama (and all the others of his kith and literally, KIN) are masters of deception. Do not trust what you see or hear from them, but only the Holy Spirit inside. Due to dismal numbers of donations and deep discouragement, I will be shutting off my computer later today and will spend the next 4 days in quiet and prayer to see what Christ will have me to do with my ministry. I’m really at the end of my rope both financially and emotionally. Yes, it would be great if “everybody” would send $5″ BUT they don’t. When only 3 or 4 people send $5 (BESIDES the VERY few who send substantially more) then how am I expected to continue? My last stab at continuing is if someone(s) would be willing to loan me $5000 at no interest. I’ll sign an IOU, get it notarized, and pay it off in 10 months. I thought I might be able to pull through until summer when my $25,000 Credit Card debt starts charging me interest. Now it looks like crunch time will be coming much sooner. If I put out an Appeal to 2500 regular readers and viewers and only 8 respond what does that tell me? That this site no longer has the funding to continue much longer. If you want to see this Site survive PLEASE HELP ME financially. If no, then I close it down. I’ll have no choice. Then you’ll be stuck with all the windbags who are scared to death to name the JEW word. I’m the ONLY one who does effectively. You’ll be stuck with Hodges, Jones, and Celente…all useless windbags. ALL cash donations by mail come in safely and securely. You don’t see Obama approval ratings plunge to the lowest ever while just preventing a war in Syria and making a peace deal with Iran? How is this possible? Yes, Obamacare is a mess, but are you telling me the American people would rather be at war? Come on now, everyone is calling for impeachment and why do you suppose that is? The MEDIA, including all the alternative web sites, all calling for his removal, and the alternative? A warmonger, all in line to the “throne”! Don’t you get it? If he was playing ball with the “handlers” from Tel Aviv, the media, owned lock stock and barrel by the same “handlers” would be COVERING his end, not slamming him at every angle, and a media that covers for a President who is doing the bidding of his “handlers” does not have a low approval rating, the people are sheep, they watch the MSM an follow along gladly. So there is only one explanation for his dismal rating despite working towards peace, his “handlers” are not happy with this newfound peace! Confused Zionist Christian Glenn Beck also calls for Obama’s impeachment. On the grounds that Obama is aiding and abetting the enemy, by giving weapons to groups in Syria that are linked to Al Queda. He is confused about who the enemy is. I watched bits and pieces of that Russian movie in which you posted the link. This comment is off topic and directed at those behind the scenes, monitors and whatnot. The comment section here is always civil. Compared to other sites such as Lasha Darkmoon and Incogman, it’s a tranquil oasis in a sea of BS. I don’t always agree with the posts (as does anyone else, we are all unique individuals) but the civility expressed is, I think, a reflection on the high spiritual values of Brother Nathanael. Are They Crazy Enough To Try Another False-Flag Attack? Jones, with his tinctures, nostrums, ointments, and snake-oil panaceas, is the biggest useless windbag of them all. Jones talks up a big streak about “moneybombs in the infowar” but all he does is talk in circles whilst selling highly dubious remedies. Jones constantly blasts out paradigms of docility, caging and withering the minds and brains of his pathetic followers. He’s also married to a Jew, and owns land in Israel. That potbellied con-man throws out smoke screens for the Jews. He’s controlled opposition, and he gets his money by controlling the behavior of social fringe, A1 nutboys. First, I would urge my fellow Christians to pray for our leaders, including President Obama, as God in Scripture commands us (1 Tim 2:1-4). The Holy Spirit through the Apostle Paul wrote this exhortation while Nero was Emperor of Rome, perhaps the most wicked ruler ever (he was a type of the coming Antichrist). Secondly, I would encourage people to give liberally to Brother Nathanael if they wish this sincere and pro-Christian news service to continue. Third, pray for the Jews, who are under the curse of God for their wicked betrayal and murder of God’s only Son Jesus Christ (Acts 7:52) and for their guilt of the murder of the prophets of God from the blood of Abel to Zechariah (Mat 23:35). God has blinded their eyes, and hardened their hearts, as said the prophet Isaiah (Isa 6:9, 10). The Apostle Paul said that they would be saved in the last days, once the fullness of the Gentiles come in (Rom 11:25-27). Godspeed. Did they not think this out better, not to brag about killing Goyim TO Goyim? The hundreds of thousands of CHILDREN these Jews kidnap for bloodletting and torturing in the USA and Europe and then brag about it. Don’t they think the parents might be, um, a little pissed off (!) how Finkelstein says the synagogue basements are where they slice the jugular and esophagus of little kidnapped Goyim babies and children after they’re tortured, and then their bodies are ground up for McDonald’s by Jew-owned slaughter houses? I wonder if all those parents of those children on the milk cartons would be able to be even contained at all when they get a grasp on what “blood libel” is all about! Your work is great +BN. Hopefully I’ll be able to donate one day. If I had more money I would donate. Do you know anything about Benjamin Fulford? Gershon Barkany: Ponzi schemer who admitted stealing $62,000,000 USD from investors by promising to invest their money in “risk free” real estate. Barkany told the investors that if the properties were not flipped, their money would be refunded. In reality many of the real estate deals were never made, and Barkany simply pocketed the money. He faces up to 20 years in prison. In a now familiar scenario, this case of Jewish criminality has quickly gone off the media radar. I have a serious problem with a lot of the comments on here. While the intention is to expose Jewish control of media, government, military etc, it’s necessary to keep the debate civilized and real. The intention is to build a fairer country, a better country for all Americans. 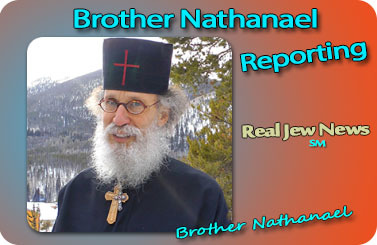 Brother Nathanael, you’re doing damage to yourself and your cause by allowing racist comments, or rumors, etc, to be posted. For example comments by Yankee Goy about the killing of children and sacrificing them by Jews are just nuts and such comments undermined the seriousness of what you’re trying to do. Any average persons who happened to visit this website will be turned off completely. Methinks Yankee Goy may be a Jew in disguise to sabotage your mission and you wonder why you’re not getting donations. I’ve donated to you twice, but I’m reconsidering. Does this sound familiar? Who could be the culprits behind organ theft and lying about it? “The missing heart of a dead Marine from Chester County, Pa., is at the center of an international mystery that threatens to entangle two governments in a Philadelphia court battle. On Monday, the family of Sgt. Brian LaLoup, a 21-year-old embassy security officer who killed himself last year while stationed in Athens, Greece, accused officials there of removing his heart during an illegal autopsy. Later, they said, Greek officials tried to pass off another heart as their son’s. I am quoting Rabbi Abbe Finkelstein. There’s many, many, many attestations to blood sacrifices. I have no way to prove or disprove such a thing. But would it make any sense for this Rabbi to TROLL the Goyim by bragging that Jews kill hundreds of thousands of Goy children? This is just a brief clip where he boasts about sacrificing Goyeem children. It’s too much for us to wrap our minds around, and he seems to enjoy that fact, that it’s so off-putting nobody would believe the truth even as he states it openly. “We just raid our send completely. They believe anything we tell them. And ah, you know, if I mean, we have a lot of fun around Passover when we steal their children. And ah, you know we are, I know you know, cause I’ve got it on your show before, I mean we steal a hundred to three hundred thousand children a year just in this country. “And we drain the blood and we mix it with a Passover bread, and then we throw the bodies into the slaughter houses that we own, and we grind up all the bodies in the sausage and the hamburgers. “And, even when we say this outright and tell you, people, you don’t believe it. So, that’s your problem. In the comments someone mentioned that the recent stories about horse-meat in Europe and ammonia-pink-goo meat products were a distraction from being caught in this slaughter-practice. Again…don’t know but sounds feasible! That meat at McDs Bell is not like the ground chuck at home. Here’s a Jewess talking about how she grew up around sacrificing babies, and she says the neighbors just thought she was from a nice Jewish family. Here is an extensive article on Jewish blood rituals at Purim! ALL of what +BN says has been shocking to me. The very first thing that got my attention was a +BN video on “who” owns the media (100% Jews), he named names! Then he named names on “who” is trying to take away our 2nd Amendment rights. Then I began reading on the Zionist Bolshevik genocides, that Jews brag about killing Goyim, inventing Communism, about the Talmud, NWO and the FED, and the IRS…and it all came cascading down on me, a realization that I’d been duped by these people who ruin our country. There is no “Judeo-Christian” ethic, and Jesus was not “a Jew,” not in the modern rabbinic sense. In my reading I came across an interview with Finkelstein who again, brags about killing Goyim kids. And so that’s not the first shock I’ve had, it’s just the latest! If it were only Finkelstein, I would ignore it…but I kept reading about these rituals repeatedly from many many sources! The truth is always shocking at first, it’s easier to deny it, but ultimately truth is irresistible. Some of these things are so gross that as Finkelstein boasts, no Goy can believe them. Does that mean these crimes should be hidden, not investigated? Assume out-of-hand that these horrific accusations are not worthy of any investigation? Out of funding fears? What would YOU support? A lie, or the truth? It’s not just about the leadership of one person. That would be simplistic. The cabal is pulling as many strings as it can. If the Christians got behind the leader whoever that is, you would see the results you are looking for…because leadership plays to its support.